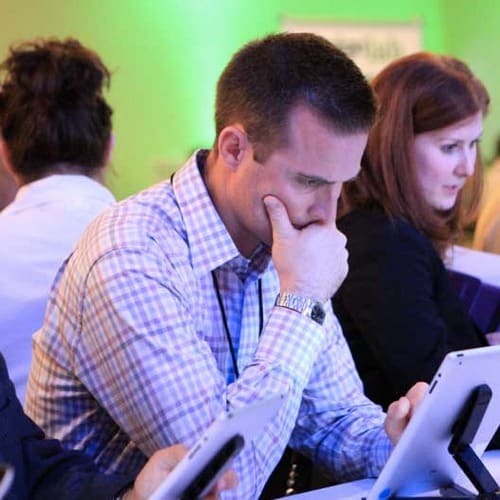 Save time and improve your trade show ROI. 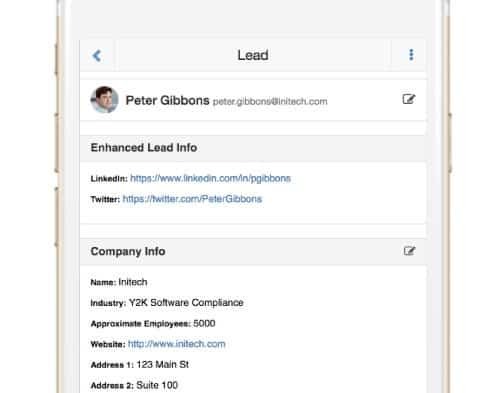 Capture, qualify and followup with leads in our lead capture app. Perfect for small exhibitors or regional shows. Your attendee plays one of many of our Trade Show Games and their basic information is received. The Lead Manager App scans and scrapes detailed information about the attendee auto-magically. Within seconds, you have qualified lead details in your pocket, ready for you to rate, add notes and follow up. 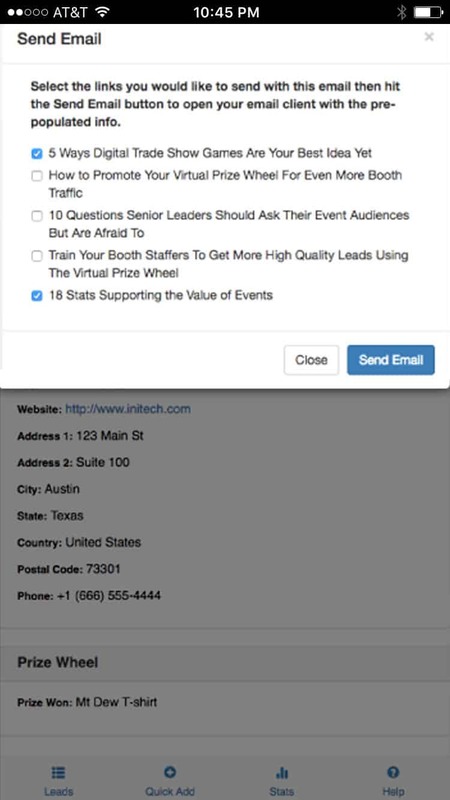 Make notes, rate prospects, add photos and email documents. 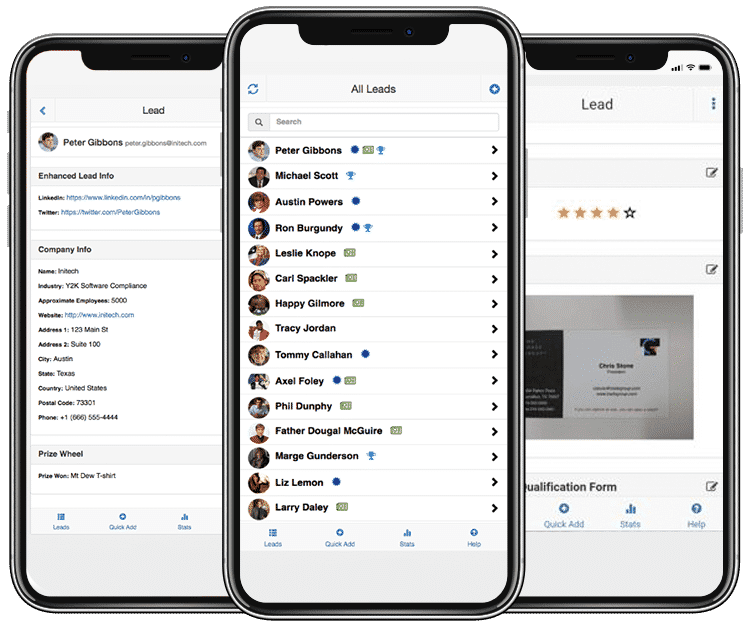 Leads captured with our trivia games and prize wheel solutions are instantly available to booth staffers in the lead manager app. Capture photos with your smart phone and add them to the lead record. This makes it easy to followup later. Super Busy? Use the Quick Lead to add a lead. 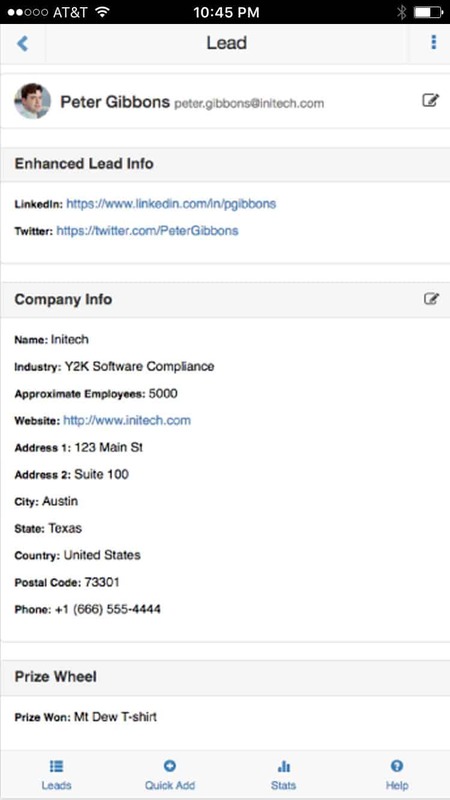 Add more contact data with notes, customizable pull down forms, lead ratings and photos of business cards. Quickly download your leads into your CRM system for personalized email and sales rep follow up. 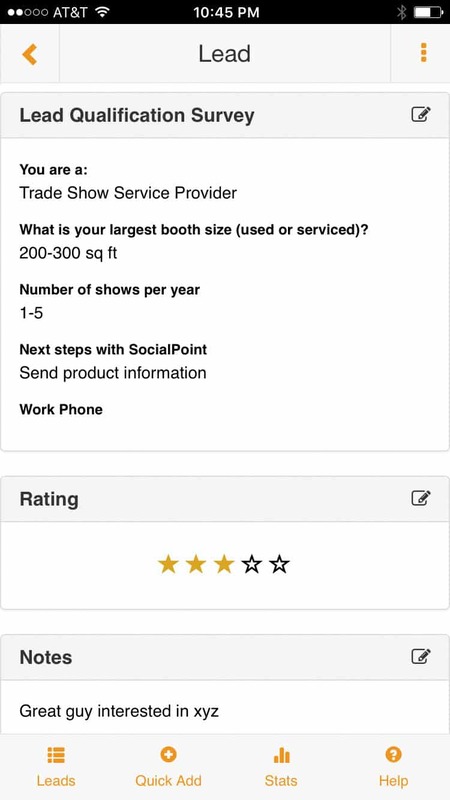 Create custom lead and survey forms that match your exhibit needs. Brand the app icon and logo for each event. 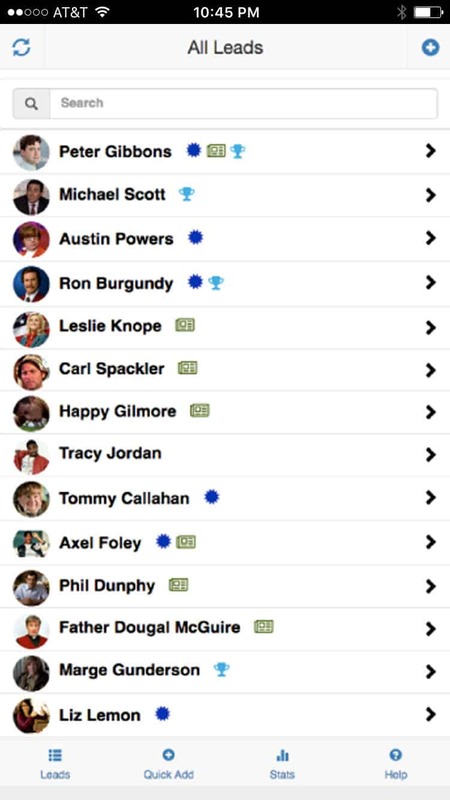 While the app is designed to be intuitive to use, your booth staffers can simply click an icon wherever they are in the Lead Manager app for help on how to use that feature of the program. Track real time performance across games, multiple days, trade shows, booth staffers, all from a single performance dashboard. 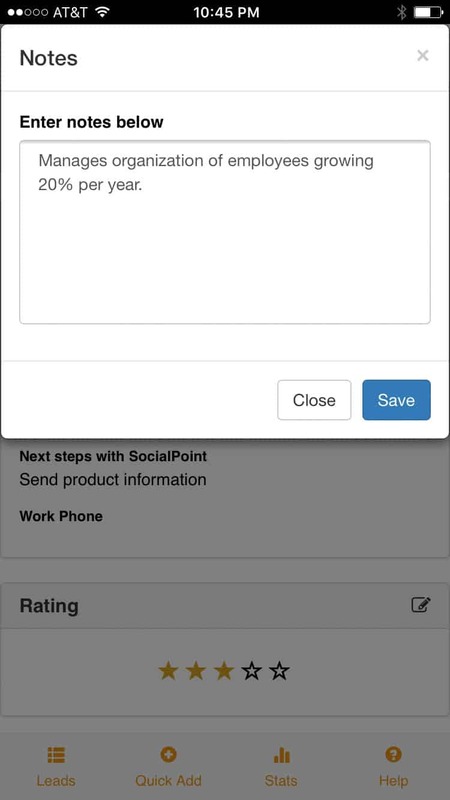 Using SocialPoint’s Lead Capture app you can send personalized emails with digital documents right from the app, even immediately after capturing the lead! 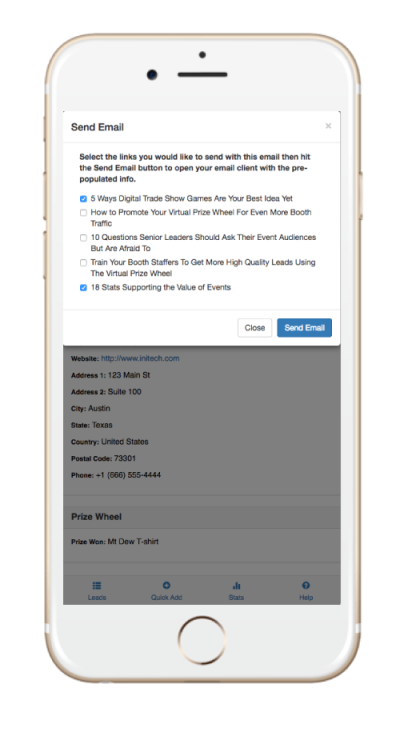 Ask us how the Lead Manager App can increase your exhibit performance at your next event.